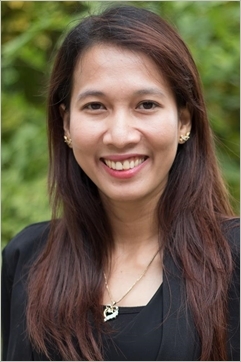 Today we are highlighting 2018 Global Fellow Sokhorn Yon, Program Manager at Cambodia Living Arts. In this capacity, Sokhorn manages their “Arts Development” program, with a mission to (1) enable artists and cultural leaders through training, funding, resources and network development and (2) integrate art and culture into the every day life of Cambodian youth. We caught up with Sokhorn to learn more about the cultural fabric in Cambodia and she introduced us to Asian Cultural Council's Facebook Page and website to keep up with the happenings and opportunities in art and culture across Asia. And why do this work? In her words "one thing that makes me proud in working in the sector is that I've got the chance to work with and support the creative generations of Cambodian artists to create the work that is meaningful and relevant to them."